Dave Wilkins had just moved to the town of Millersburg to live with his aunt April. He befriends Mark, Amy, Val, and Xavier. Since Dave's ancestors were from Pinewood, they all decide one Saturday afternoon to go up to Stone Hedge. 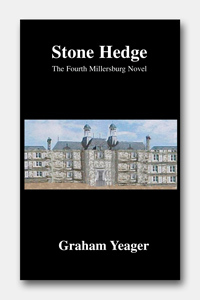 The situation quickly becomes dangerous and Dave is taken captive by evil spirits that haunt Stone Hedge. Val calls Matt and Alexis to come back to Stone Hedge to help in rescuing Dave. 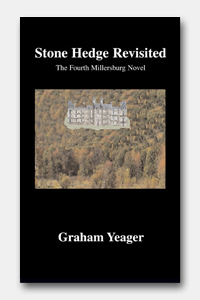 Matt and Alexis have to contront their past, and the death of their father the last time they were at Stone Hedge, along with the terrifying new reality of the greater threat lurking deep within Stone Hedge. The past comes alive and haunts the perilous rescue mission to bring Dave back...alive. But strange things begin to happen. 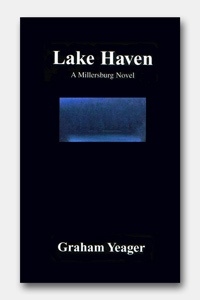 What they didn't know was the history of Lake Haven, the lake that rests at the bottom of their property. Soon Mark and Amy, along with their new friends find themselves in a perilous struggle with forces beyond their comprehension." When Stacy shows up to work, strange things begin to happen. She learns the history of the home from some of the patients. She begins to suspect that the owner isn't quite as nice as he seems to be. Before long she finds herself caught up in a web of lies and mysterious occurrences - fighting for her life." 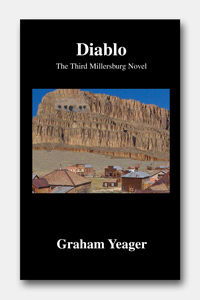 Mark and Val receive a strange invitation from their high school to attend a field trip to an archaeological site in Diablo, New Mexico. Each is allowed to bring along a friend. Mark brings his sister Amy, and Val brings along Xavier. At the same time, Stacie, also receives this invitation and brings along Mike. It seems like a fun way to spend a month of summer vacation. As their chartered bus heads westward, the mysteries begin to grow. None of the teacher chaperons appear to know anything about the place. No one has ever heard of the town, and it doesn't appear on any maps. When they get to Diablo, strange things start to happen. Carved into a cliffside, overlooking the nearly deserted town are the remains of an ancient stone temple. 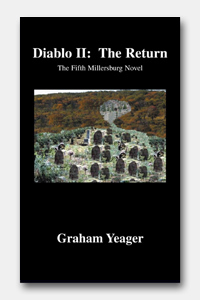 Soon, the six new friends find themselves in a perilous struggle against evil forces that are trying to expand from the tiny town of Diablo. Diablo lives up to its name. Twins Matt and Alexis find out from their father that their family has just inherited a mansion in an obscure town just outside of Millersburg named Pinewood. They are disappointed to have to spend a week at this mansion, but are delighted at the sudden financial windfall. Once they arrive at the house, they are amazed by the size and grandeur of it. But, shortly into their stay they begin to notice strange things happening. Alexis begins to feel as though something is not quite right with this house. 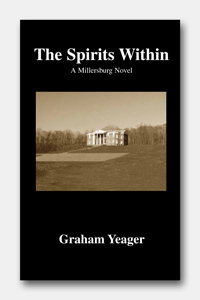 When they meet up with Val, they learn the dark and grisly history of the house, and the town. In his four decades as a sports writer for two Scranton (PA) newspapers, Guy Valvano found no egos among the numerous high school football coaches who crossed his path. The same was true when he embarked on his second book about high school football, "A Love Affair with Football." The book deals with high school head coaches who later became assistants, many of them jumping at the opportunity to contribute in a different way. 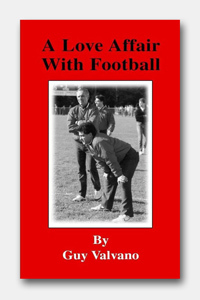 All but a few of the 37 coaches interviewed for the book found the move an enjoyable experience. They didn't mind placing themselves in a position where they no longer were in command of the program. In fact, they embraced it. For many of them, returning ot their "apprenticeship" days was somewhat like a refreshing change of pace. And, because of the selflessness of these coaches, many high school football programs in Northeastern Pennsylvania experienced a rebirth. Guy Valvano became fascinated with high school athletics while an elementary student in the Dunmore School District. When he moved on to high school he became a member of the Dunmore High School basketball team and kept close to other sports by keeping score for the baseball teams and serving as the statistician of the football team. Valvano started his newspaper career late in the summer of 1946, a few months after his graduation from high school. He was hired as a copy boy by The Scranton Tribune, a morning daily, and its sister newspaper, The Scrantonian, a Sunday publication. After six months, he was promoted to correspondent, a position he held for 2 1/2 years, before his appointment to the general news staff of the two newspapers. Valvano covered high school, college, and amateur athletics during his 43 years as an employee of the newspapers. At the time of his retirement in 1990, he was sports editor of The Scrantonian and assistant sports editor of The Scranton Tribune. Two years after his retirement, he resurfaced as sports information director at Lackawanna Junior College, retiring after 11 years to follow the athletic pursuits of his grandchildren. Other books written by Guy Valvano are "The Dream Lives On", a history of the football Dream Game; "State Champions", which chronicles the Scranton area teams that won state basketball titles, and "Royals of Renown", a tribute to the men's and women's basketball teams at the University of Scranton that captured national championships.